Name Tags | Badges Engraved | 1" x 3"
Name Tags | Badges Engraved | 1.5" x 3"
Name Tags | Badges Engraved | 2" x 3"
Name Tags | Badges Full Color | 1" x 3"
Name Tags | Badges Full Color | 1.5" x 3"
Name Tags | Badges Full Color | 2" x 3"
Check this out! Customize an 8" Softball Trophy using our one-of-a-kind online design tool that lets you create from your choice of 1000's of Softball Trophy options! Want a blue trophy on a black, real-marble base? . . . look no further. Newline has it - and much more. Only at Newline Trophy will you find "Old School" customer service and quality, using updated methods. All with FREE engraving, and FREE shipping on orders over $200. 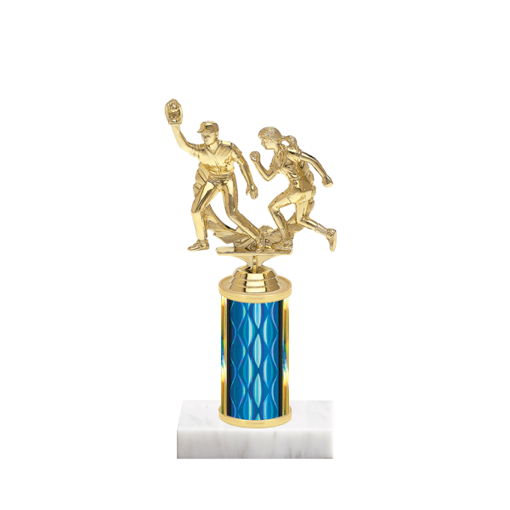 Your customized Softball Trophy will be a hit! Copyright © 2019 Newline Trophy. All rights reserved.